Find more information on all the latest special events at NHCPL. Crochet : an NHCPL Lifelong Learning Kit. 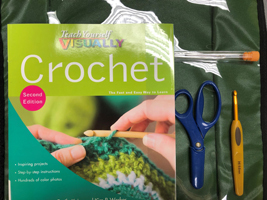 Includes a crochet hook, scissors, yarn needle, a copy of Teach Yourself Visually Crochet by Cecily Keim and Kim P. Werker, and an information sheet. Knitting : an NHCPL Lifelong Learning Kit. 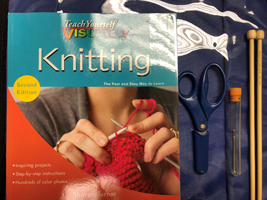 Includes knitting needles, scissors, yarn needle, a copy of Teach Yourself Visually Knitting by Sharon Turner, and an information sheet. Loom Weaving : an NHCPL Lifelong Learning Kit. 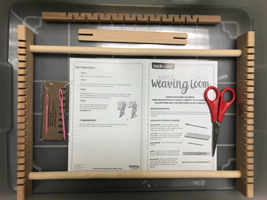 Includes a weaving loom, loom comb, scissors, 2 tapestry needles, instructions, and an information sheet in a clear plastic container. Nature : an NHCPL Lifelong Learning Kit. 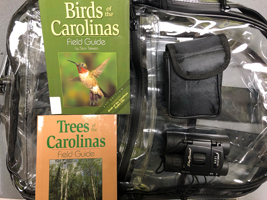 Includes a pair of binoculars, Birds of the Carolinas Field Guide by Stan Takiela, a copy of Trees of the Carolinas Field Guide by Stan Takiela, local park information, and an information sheet in a clear backpack. Snap Circuits : an NHCPL Lifelong Learning Kit. 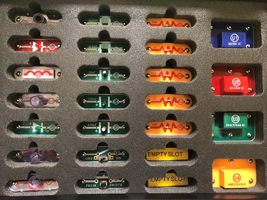 Includes one SC-300R Snap Circuits Kit, an experiments book, a projects book, a teacher guide, a student guide, and an information sheet in a hardshell case. Music : an NHCPL Lifelong Learning Kit. 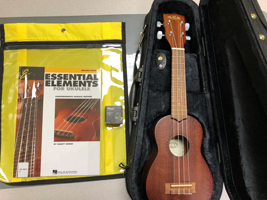 Includes a soprano ukulele in a carrying case and an attached zipper bag contating a digital tuner, a copy of Essential Elements for Ukulele by Marty Gross, and an information sheet.